Happy to announce the re-launch of 123 Challenge this month. Karlene and Charmane have asked me to stay on the Creative Team, which I was more than happy to do. Thanks girls. can be submitted in any format…yipeee!! 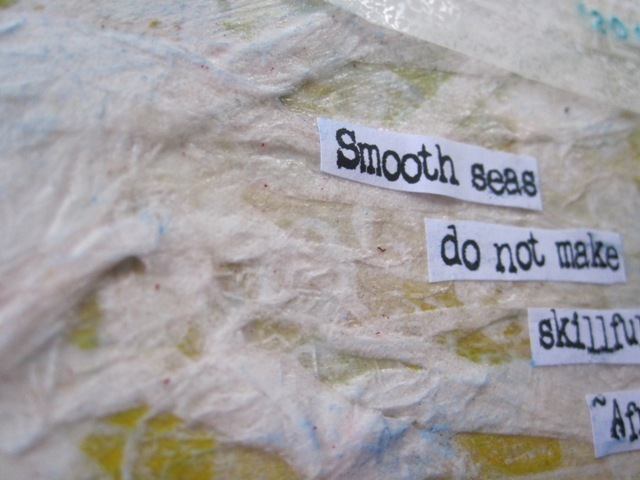 and I decided to do an art journal page (surprise, surprise). It’s approximately A5 size. 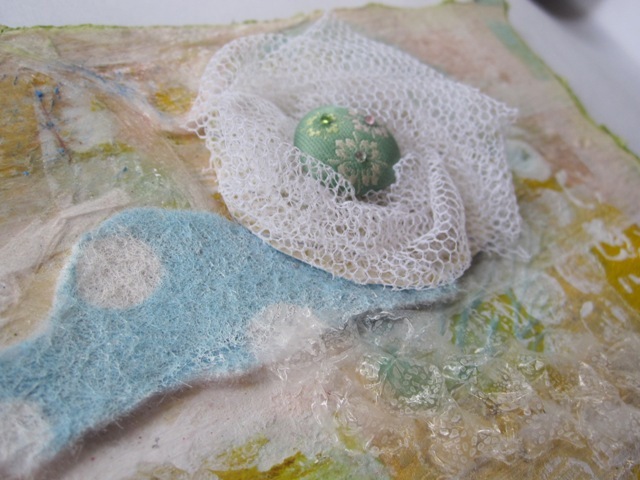 Here’s an example of the type of paint smearing I began with…. 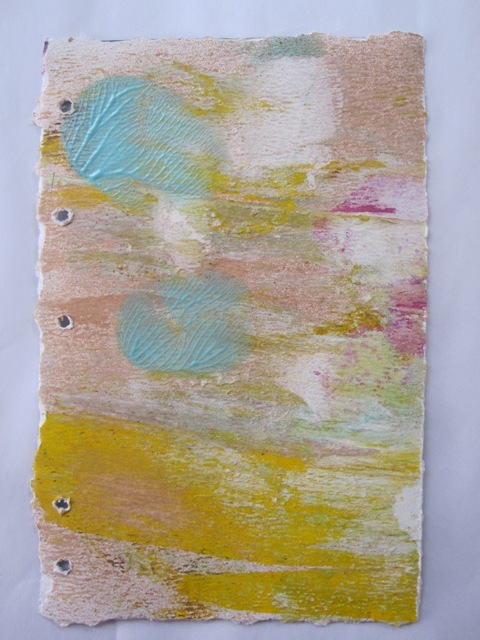 then with masking tape, I made a stip pattern one way and painted with gesso, then wiped off the excess and put the tape the other way, painted again, wiped excess…. 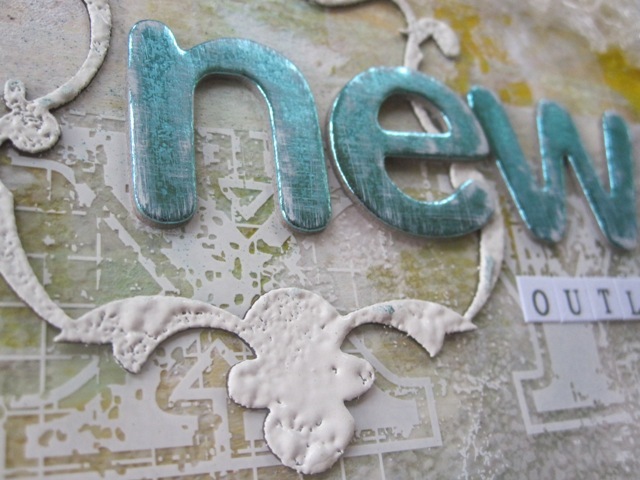 I embossed the chip frame with white embossing powder…twice LOL…. made myself a wee blossom with tulle and a gorge K&Co brad…. Well, I hope everyone will enjoy the new format as much as I will!! 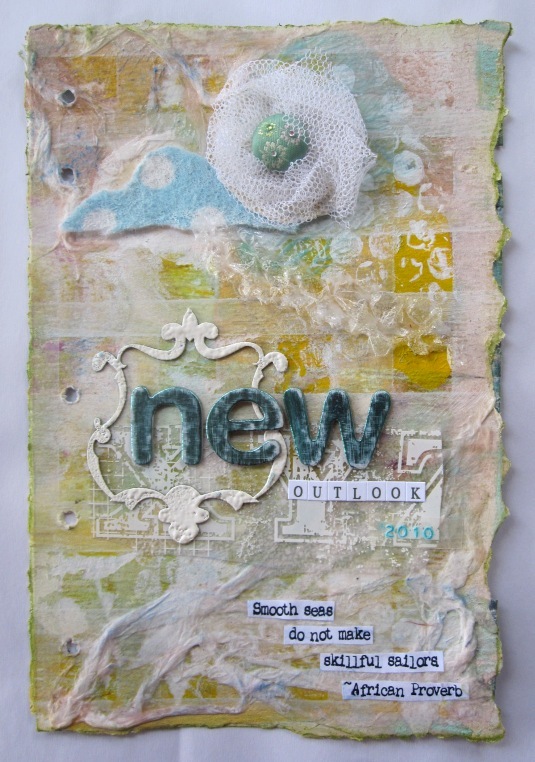 Go to the blog at 123 Challenge to look at the other CT members’ gorgeous inspiration. Gorgeous Gigi…looks like you had a lot of fun with this. everything I love – on your creation!!! wow gigi!